The Mercedes-Benz S550 Coupe is enchanting! Picture the best car you have ever driven and times that by two. 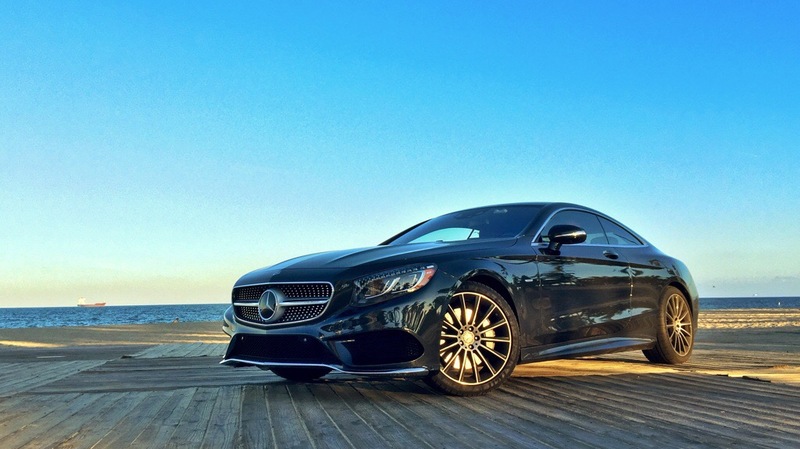 Now describe the car… Mercedes-Benz S550 Coupe represents what every car should be. It is the pinnacle of German engineering: It is one of the most luxurious cars on the road, it is one of the most well crafted cars on the road, and it is fun to drive! Few vehicles can be compared to the Rolls Royce or Bentley lineup. The two english brands are known for building super luxurious cars, but outside of the Bentley Continental, their vehicles are chauffeur’s cars. Who wants to drive Rolls Royce Ghost or Bentley Mulsanne when you can be driven in one? 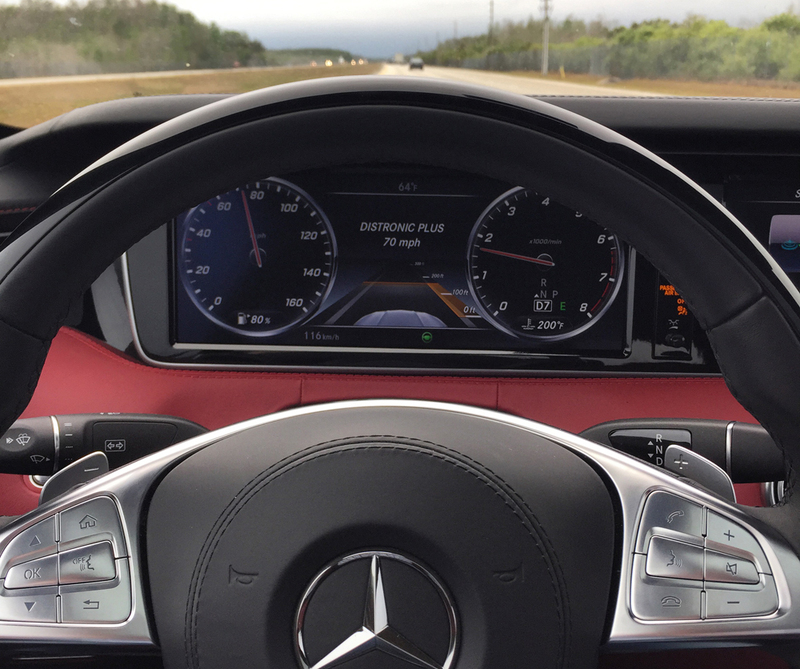 The Mercedes-Benz S550 Coupe surrounds the driver in luxury. The vehicle I tested was wrapped from top to bottom in Napa leather, piano black wood (part of the designo package), aluminum and Swarovski crystal. The seats were heated, air-conditioned and had built-in massaging chairs. The S550 Coupe’s “magic fingers” are able to apply various levels of pressure and work their way up and down your back. For the first time ever, I enjoyed sitting in rush hour traffic during my commute. The sound system in the Mercedes-Benz S550 Coupe is designed by Burnmester and rivals the very best from Bang & Olufsen. The Burnmester surround sound system brought out nuances that I didn’t know existed in some of my favorite songs – I felt as if I was listening to artists live. The craftsmanship and level of detail placed into this vehicle is second to none. Swarovski crystal is also found on the outside of the Mercedes-Benz S550 Coup. 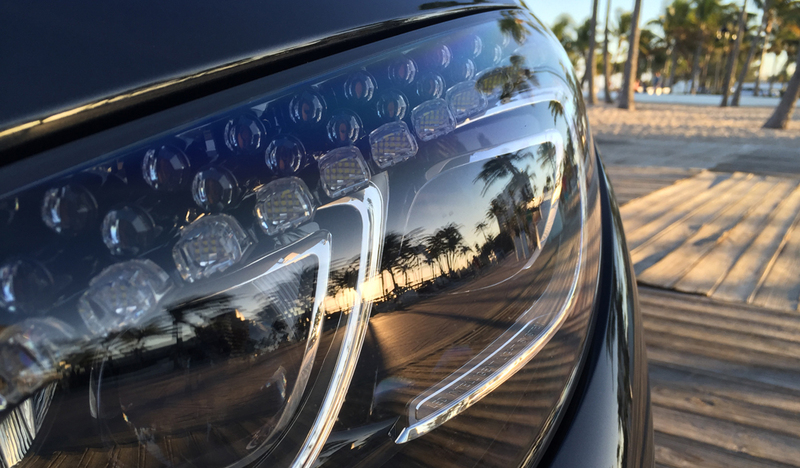 The high intensity LED headlights feature a key signature and the crystal increases the quality of light projected… And they look really cool at night! The integrated technologies in the S550 Coupe are very impressive, but they not overwhelming. Every aspect is designed for easy of use and to enhance the driving experience. Two gigantic and customizable screens display all of the essential information, as well as, navigation, entertainment and a 360-degree camera system. The vehicle I tested was also equipped with a night-vision camera. With the press of a button, the main display featured an infrared mode that highlighted living objects (such as people and animals) in a glowing red box. The camera allowed me to see pedestrians farther at night than I could with the naked eye. I have talked about laser guided cruise control and lane keep assist on other cars, but the Mercedes-Benz S550 Coupe takes the cake! It is super intelligent, more responsive and delivers a much more fluid experience. The vehicle dynamically adjusts the safe distance between cars based on how quickly your vehicle can come to a complete stop. The faster you go, the longer the distance needed to stop. The system makes you a safer driver. Underneath every great driver’s car is a powerful engine. 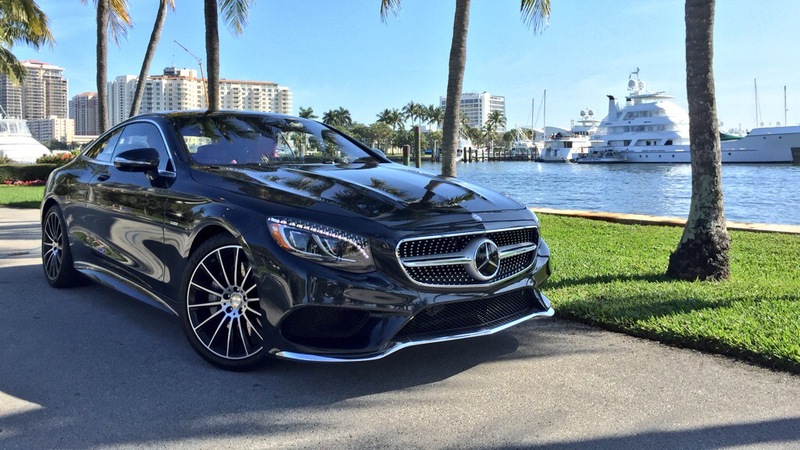 The Mercedes-Benz S550 Coupe is no exception. “The 449-hp biturbo V-8 of the S550 4MATIC combines quicker response with the added efficiency of ECO Start/Stop. It can precisely self-tune its direct injection and multispark ignition in a millisecond. A new active exhaust matches its intoxicating power with an enticing soundtrack, unleashing a subtle growl at startup and under acceleration.” – According to the Mercedes-Benz. But no words can describe the feeling when you are casually cruising along and then you stomp on the accelerator. This car moves and it moves quickly! It goes 0 to 60 in 4.5 seconds, which is faster than Porsche 911 and the Audi R8. To increase handling on the track (and on the road), the S550 Coupe comes equipped with Mercedes’ 4MATIC all-wheel-drive system and self-leveling ARIMATIC suspension system. You can go from a comfort tuned suspension to a sports tuned suspension in about a second. I couldn’t stop driving the Mercedes-Benz S550 Coupe, the car kept begging me to take it out of the garage. There is something about its style, luxury and performance that says you finally made it… Even if I only “made it” for a week. I got more stares driving it than a bright orange McLaren 12C. 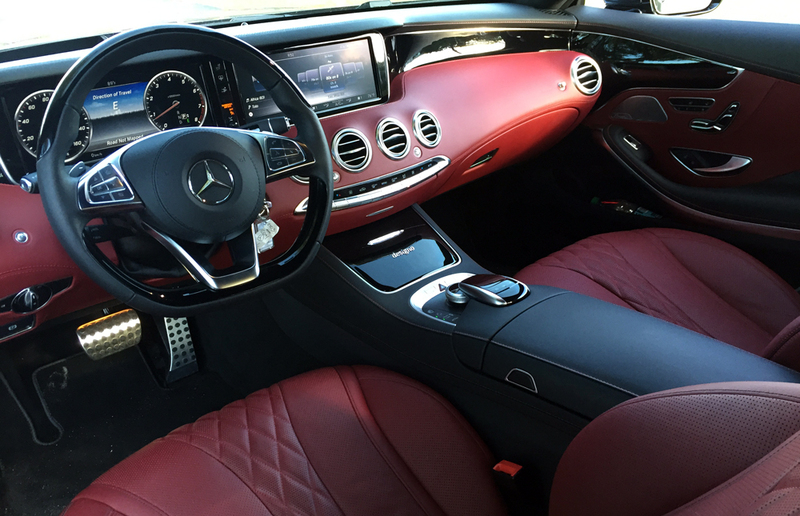 Here is a fun story – Half way through my week with the S550 Coupe, I met a friend for lunch. One of my clients randomly walked into the restaurant. He saw me sitting by the window and came over to say hello. Client: “Hey how’s it going? Did you see that Mercedes parked in front?” Me: “Yeah, I am driving it for the week.” Client: “No way! Its stunning. I have to get one!” Everyone I met fell in love with the car and so did I. Two weeks later, as I am writing this article, I am still obsessing over the car. The Mercedes-Benz S550 Coupe is one of the world’s best cars.